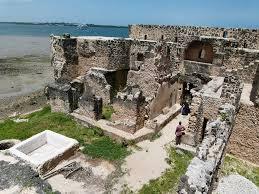 Kilwa is a former Swahili town on the island of Kilwa Kisiwani, Tanzania. From the 10th to 16th centuries AD it was a vibrant trading centre. 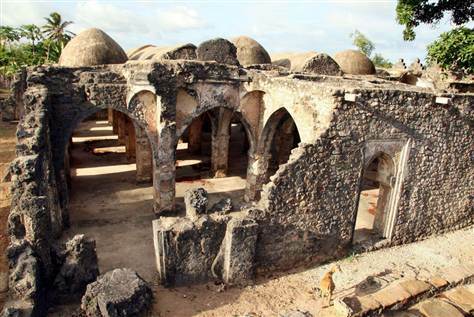 Now it consists of numerous ruined stone buildings, including mosques, palaces, houses and tombs. One has to look into the details to what actually went on individually between the British and the Germans in trying to get a firm footing in East Africa and why this was so important, for them both. The British had an upper hand in the area in dealing with the Sultan, the logistics and trade around Zanzibar and the Coast of Zenj especially where by trade routes were, mostly concentrated around Zanzibar and to the South and North of the main coastal land Africa, this mainly was due to British India (Indian businessman) the Sultan and its vast experience along the sea voyage route from the Mediterranean into the Suez canal, Red sea and Indian Ocean sea from Europe and vice-versa and that was very vital to them, vast investments and commitments were put in place, that just showed how massive the British Empire was at that time. On the other hand Germany had many problems, the shores along Kenya, Tanganyika and part of Mozambique belonged to the Sultan of Zanzibar. After 1885 much of the trade in the colony was controlled by the German East Africa Corporation (DOAG), a charter company that ruled the coast until the German state took control in 1891 following the Abushiri rebellion. The 1,250km long Central Line (Mittelland Bahn) between Dar es Salaam and Lake Tanganyika surveyed in 1894 was started in 1906, reached Tabora in 1912 and Kigorna in February 1914. The Usambara railway linking Tanga to Moshi (Nord Bahn) was built to develop trade with the northern plantations and was completed in 1911. In between all that was the emergence of yet another rebellion called Maji Maji (1905-l907), and 1914 we all knowwhat ensued, the First World War taking place and of course Germany lost and Tanganyika In 1922 became a League of Nations mandate under the United Kingdom. Therefore there were a lot interruptions in its short span of time whilst in its midst, in trying to establish itself and in trying to gain a firm footing in Africa. By 1871 Germany had a quarter of the export trade coming from Zanzibar. The Society for the Exploration of Equatorial Africa was founded in 1873, and three years later Germany started a national branch of Leopold II’s International African Association. These two combined to form the German African Society of Berlin in 1880. The next year the German Colonial Society was founded. In March 1884 Carl Peters and thirty others formed the Gesellschaft für Deutsche Kolonisation. Peters secretly went with Count Joachim Pfeil and Dr. Karl Jühlke to Zanzibar in November. From there they went to the east coast of Africa and claimed they made twelve treaties with the chiefs of Usagara, Ungulu, Uzigua, and Ukami which Peters took to Zanzibar in December. After the armistice of November 11, 1918 and the 1919 Peace Conference, German East Africa was turned over to the British and became known as Tanganyika. Horace Byatt had been in charge of German East Africa since 1917, and on January 31, 1919 he became Civil Administrator. In 1919 the Indians refused to vote for two members of the Legislative Council because many fewer Europeans were allowed to elect eleven. The League of Nations came into existence in January 1920, but the B mandates did not take effect until July 1922. The Administrator Byatt became the Governor and Commander-in-Chief. In 1920 the judiciary was revised by the Courts Ordinance, and the departments of Agriculture, Forest, Education, and Land Survey were created. Between 1920 and 1922 the British provided Tanganyika with £408,000 in grants-in-aid, and Governor Byatt tried to increase revenue by promoting African cash crops. On March 22, 1921 the Belgians ceded Ujiji District and the parts of Ufipa and Biharamulo they had held. The Belgian mandate of Rwanda-Urundi was fixed in December 1923. Carl Peters was a German explorer, journalist and philosopher, instrumental in the founding of German East Africa and helped create the European "Scramble for Africa". Despite being vilified for cruelty to Africans and removed from office, he was later praised by Kaiser Wilhelm II and was considered a German hero by Hitler. 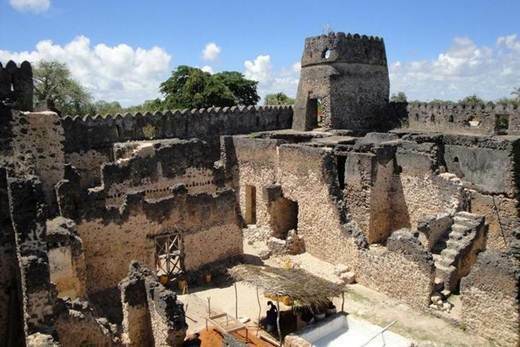 The old port of Bagamoyo, 40 m. from Dar es Salaam, was the terminus of the great slave route used by the Arabs, which ran inland to Ujiji on Lake Tanganyika. In 1848, the German missionary, Johannes Rebmann, discovered Mount Kilimanjaro, and the history of the ensuing forty years consists mainly of the activities of explorers who visited this part of Africa. Burton and Speke discovered Lake Tanganyika in 1858 ; Baron von der Decken, a Hanoverian army officer, explored Mount Kilimanjaro in 1861 ; Livingstone’s last great journey into the interior commenced from Zanzibar and Mikindani in 1866 ; and H. M. Stanley’s expedition from Bagamoyo in 1871 for the relief of Livingstone found him at Ujiji in the same year. Lieut. Lovett Cameron, R.N., travelled from Bagamoyo to the Congo and visited Lake Tanganyika in 1873 ; and Captain James Elton, an Indian Army officer, who was vice-consul at Mozambique, traversed the Southern Highlands, and died on his way back to the coast near Manyoni in Ugogo in December, 1877. In 1884, Dr. Karl Peters formed a Society for German Colonisation and made an expedition inland from Bagamoyo towards the end of that year, returning to the coast early in 1885 having entered into agreements with six of the tribes. In February, 1885, an Imperial Charter of Protection was granted by the German Government to the Colonisation Society. An agreement was concluded in London in 1886, defining the limits of the possessions of the Sultan of Zanzibar, and Germany recognised his independence. In 1887, the German East Africa Company was incorporated by Royal Charter, and the following year the Sultan of Zanzibar leased a portion of the mainland coast-line to the Company for fifty years. German officials then took over control of the coast-belt, which led to a rising by the Arabs and Swahilis that continued until the end of 1889. In October, 1889 a German Protectorate was proclaimed over German East Africa and a garrison was established at Dar es Salaam. Following an Anglo-German Agreement in 1890, defining their respective spheres of influence in East Africa, the Sultan of Zanzibar ceded the lease of the mainland territory to Germany against payment of £200,000. From the commencement of 1891, the Imperial German Government took over the Territory from the German East Africa Company, and appointed the first Governor, Herr von Soden, with his seat at Dar es Salaam. Later in the year, a German expedition against the Wahehe was repulsed, and this tribe was not subdued until 1894. The Tanga Railway was commenced in 1891, eventually reaching Moshi in 1911. In 1900, a steamer was launched on Lake Tanganyika. The Central Railway, from Dar es Salaam, was commenced in 1905, and reached Kigoma in 1914. During 1905-06, a general revolt of tribes in the south-east of the country took place, usually known as the Maji-Maji Rising. The number of natives who died as a result of the rising is said to have reached 120,000. —German advance from Tanga driven back, but British attack on Tanga, Nov. 2-4, repulsed with 795 casualties. H.M.S. Pegasus sunk at Zanzibar by the German cruiser Koenigsberg. —Dar es Salaam bombarded. Mafia Island occupied. Koenigsberg sunk in Rufiji River. Bukoba, on Lake Victoria, occupied. —General Smuts succeeded Sir H. Smith-Dorrien in command Feb. 19. Tanga occupied July 7 ; Morogoro Aug. 26 ; Dar es Salaam Sept. 4. Occupation of coastline completed by naval forces Sept. 18. Belgians captured ports of Lake Tanganyika. Third attacking force advanced from S.W. under General Northey. —General Smuts relinquished command. Desultory fighting continued during 1917 and 1918 against diminishing German forces. —General Von Lettow-Vorbeck surrendered in Nov. (following the Armistice) at Abercorn, Northern Rhodesia. His force consisted of 30 officers, 125 other Europeans, 1,165 Askaris, 2,294 native carriers, etc., together with 819 native women. In 1920, the Territory was renamed Tanganyika Territory, and Sir Horace Byatt was appointed Governor and Commander-in-Chief. In 1921, the Kigoma District, which had been administered by Belgium since its occupation, was transferred to Tanganyika Territory. A protocol, demarcating the boundary between Tanganyika and Ruanda-Urundi was signed between Great Britain and Belgium in 1924. In 1926, a Legislative Council was constituted, and met for the first time. Important railway extensions were completed, and the Tabora to Mwanza line was opened to traffic in 1928, and from Moshi to Arusha the following year. In January, 1946, H.M. Government announced to the first session of the General Assembly of the United Nations their intention of placing Tanganyika under the international trusteeship system established by the United Nations Charter. In May, 1947, the first bush was cut in connection with the East African Groundnuts Scheme. This great plan failed to achieve its declared objectives, but nevertheless focussed attention on Tanganyika development and hastened rail and port development. The Tanganyika Agricultural Corporation came into being on 30tli March, 1955. It took over from the Overseas Food Corporation. October, 1954. New Dar es Salaam airport officially opened. October, 1956. Deep water berths, Dar es Salaam and first part of new General Hospital, Dar es Salaam, officially opened by H.R.H. The Princess Margaret. May, 1958. Official opening of new High Court, Dar cs Salaam by Lord High Chancellor of Great Britain, the Rt. Hon. the Viscount Kilmuir. May, 1959. First General Flection held. Her Majesty’s Council of Ministers sworn in. Twelve members, including three Africans, one European and one Asian, from the Elected Members of Legislative Council. Aug., 1960. Second general election held which gave the Territory a majority of elected members in both the executive and legislature. Mr. Julius Nyerere, President of the Tanganyika African National Union, became Chief Minister. The Government Ministers comprised ten non-officials (seven African, two European, one Asian) and two civil service Ministers. Oct., 1960. Tanganyika entered into Responsible Government. March, 1961. Constitutional Conference held in Dar es Salaam with the Colonial Secretary presiding. Dates announced for full internal self-government (May 1, 1961) and for independence (December 9, 1961). 1949. Sir Edward Francis Twining, G.C.M.G., M.B.E. 1958. Sir Richard Gordon Turnbull, K.C.M.G. Tanganyika as a geographical and political entity did not take shape before the period of High Imperialism; it's name only came into use after GERMAN EAST AFRICA was transferred to Britain as a mandate by the League of Nations in 1920. What is referred to here therefore is the history of the region that was to become Tanganyika. The East African nation of Tanzania dates formally from 1964, when it was formed out of the union of the much larger mainland territory of Tanganyika and the coastal archipelago of Zanzibar. The former was a colony and part of German East Africa from the 1880s to 1919, when, under the League of Nations, it became a British mandate until independence in 1961. The pioneer whose contributions in Africa survived early colonial times through to modern day Tanzania. Our grandfather, Jagjivan Samji Khambhaita (top row, middle) was born on March 10, 1912 in Kalavad (Gujarat), India and came to Tanzania in 1928 when he was a teenager. He married Jashvanti Ben who was born on August 6, 1915 in Talagana (Gujarat), India and went on to have seven sons and a daughter. The family photograph was taken in the early 1960s in Tanga, Tanzania shortly after an uncle’s marriage during which the family had gathered. 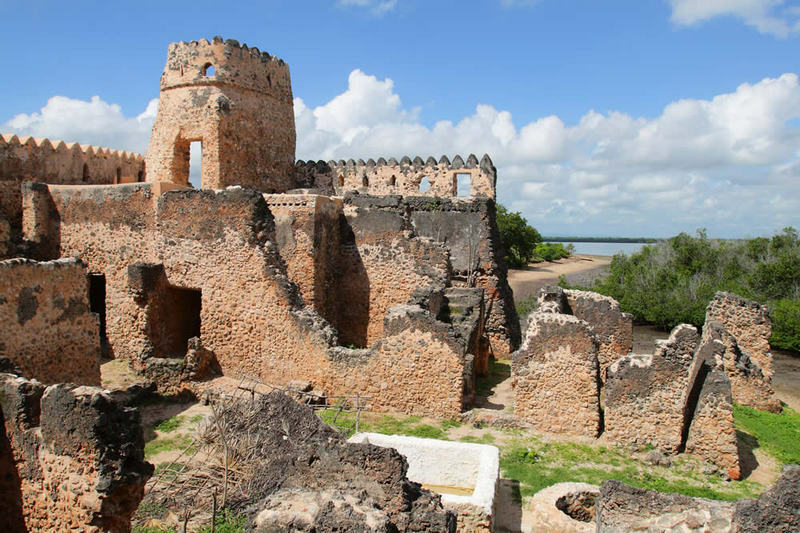 The history of Zanzibar and Pemba dates back to very early times, and one of the islands is described under the name of Menuthias in the Periplus in the first century. During the 16th century, the East Coast Arabs sought the assistance of the Imams of Muscat against the Portuguese, who had captured Zanzibar in 1503. In 1698 the fall of Mombasa broke the power of the Portuguese to the north of Mozambique, and the Arabs re-occupied Zanzibar in about 1730, under the rule of Muscat. On the death of Seyyid Said in 1856, a dispute arose as to succession between his two sons, and the African possessions became independent of Muscat under Seyyid Majid. He was followed in 1870 by Seyyid Bargash, the first ruler to be known as the Sultan of Zanzibar. From early times until comparatively recently, Zanzibar was the principal market of the great African slave trade, which only ceased finally in 1873, when, under pressure from Great Britain, Sultan Bargash closed all public slave markets throughout his dominions. By a Convention of 1890, Britain’s interests in Zanzibar were recognised by Prance and Germany, and a Protectorate was proclaimed. For her part, Britain waived all claims in Madagascar, and ceded Heligoland to Germany. In 1891 a regular government was constituted with a British representative as first minister. On the death of the Sultan in 1896 the Palace was seized by a member of his family, Seyyid Khaled, and to compel the latter’s submission the Palace was bombarded by British warships. In 1906, the British Government assumed more direct control over the Protectorate and reorganised the government. In 1911 Seyyid Ali abdicated the throne and was succeeded by the present ruler, His Highness Seyyid Sir Khalifa bin Harub, G.C.B., G.C.M.G., G.B.E. On 1st July, 1913, the control of the Protectorate was transferred from the Foreign Office to the Colonial Office, legal effect being given to the change of administration in the following year. The government was vested in a High Commissioner, who was also Governor of the British East Africa Protectorate, and a British Resident. The High Commissionership was abolished in 1925. A Protectorate Council, with His Highness as President, was established at the same time. It was of an advisory and consultative nature and ceased to exist in 1926 when Executive and Legislative Councils were constituted. Sultan H.H. Seyyid Sir Kalifa bin-Harub died 9 Oct., 1960, aged 81, after a reign of nearly 49 years. He was succeeded by his eldest son, Seyyid Sir Abdullah bin Khalifa bin Harub, K.B.E., C.M.G. The first election was held on 22nd July, 1957, the second on 17th January, 1961, and the 3rd election on 1st June, 1961. 1930. Sir R. S. D. Rankine, K.C.M.G. 1937. Sir J. H. Hall, K.C.M.G., D.S.O., O.B.E., M.C. 1941. Sir H. G. Pilling, K.C.M.G. 1946. Sir Vincent G. Glenday, K.C.M.G., O.B.E. 1952. Sir J. D. Rankine, K.C.M.G. 1954. Sir Henry S. Potter, K.C.M.G. 1960. Sir George Mooring, C.M.G. A recent article in Old Africa by Jarat Chopra will be of interest to our readers. Jarat is the grandson of The Hon Iqbal Chopra K.C., Member of the Legislative Assembly, who was the partner of J.T.Williamson in the Mwadui diamond mine. Doctor John Thoburn Williamson was a rugged Canadian geologist who, after he left the employ of De Beers in 1932, cycled north and began prospecting on his own for diamonds in what is now Tanzania. He was financed by some local Asians, others and took on De Beers at their game…………………..